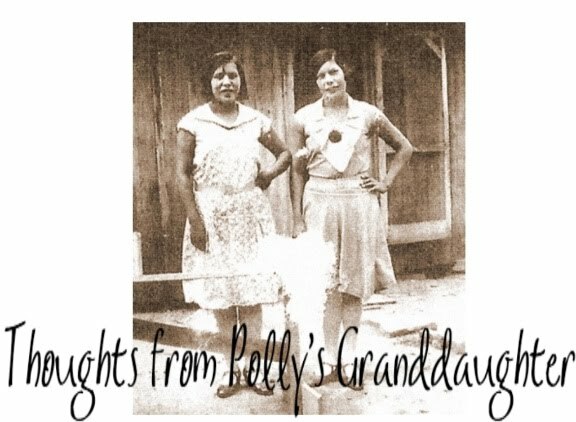 Thoughts from Polly's Granddaughter: What A Privilege! Sneak Peek at Private Collection! What A Privilege! Sneak Peek at Private Collection! A couple of days ago, I had the privilege of viewing a couple of pages from some ledgers that are part of a private family collection. 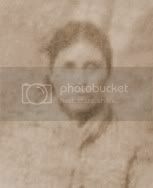 The representative I spoke with about them found my family listed and said it is a huge find because their names were listed in the original members of the Keetoowah Church. Below, you find the name of my ancestor this blog is named after. It is from a page dated 1906. These ledgers belonged to a full blood Cherokee man who was secretary of the Nighthawks when Redbird Smith was leading them. Undoubtedly, these ledgers, for Cherokee treasures and historical information, will rank in the same category as the work by Emmit Starr, but are probably more valuable because not only do they contain some family groups, in some sections, they list people by name in Cherokee and English along with age. It is important to note that not all Cherokee families will be found in the ledgers. Since these are records of the Keetoowah Society, only those who had association with them will be found. These ledgers are not for public viewing at this time and I don't know if they will ever be. I believe there is a plan in the works for them to tour the three federally recognized Cherokee governments and some highly respected U.S. national museums, but I am pretty sure they will not be available for research purposes to the average person because their value is so great, there is no way to put a price on them. Maybe some day, parts of them will be available by transcription, but who knows for sure. All I know is I feel extremely privileged to have been allowed a glimpse of these Cherokee treasures. Thank you, my friend!